A takeout spot for Hawaii's iconic marinated raw fish dish. 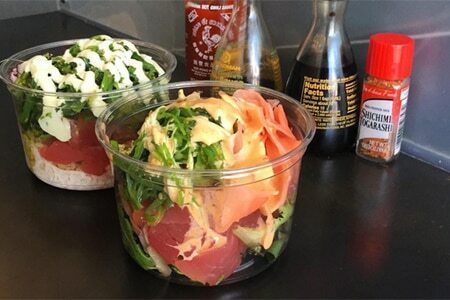 : Mainland Poke Shop, a project from Ari Kahan and executive chef Kayson Chong (BOA Steakhouse), features bowls of Hawaii's iconic marinated raw fish dish. There's takeout and a small number of indoor/outdoor seats.